Durable construction designed for everyday use. Pass-through plug replaces wall outlet used to install. 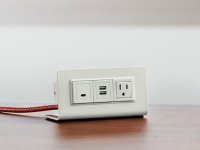 2x US AC outlets and 2x high-current USB ports. USB Optimized for Tablet Charging. UL Approved & Spill Tested. Today more than ever guests are checking in with lots of electronic devices, and the first thing they're looking for are more power outlets. 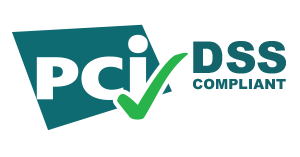 Your biggest challenge is putting more power at their fingertips without expensive rewiring. 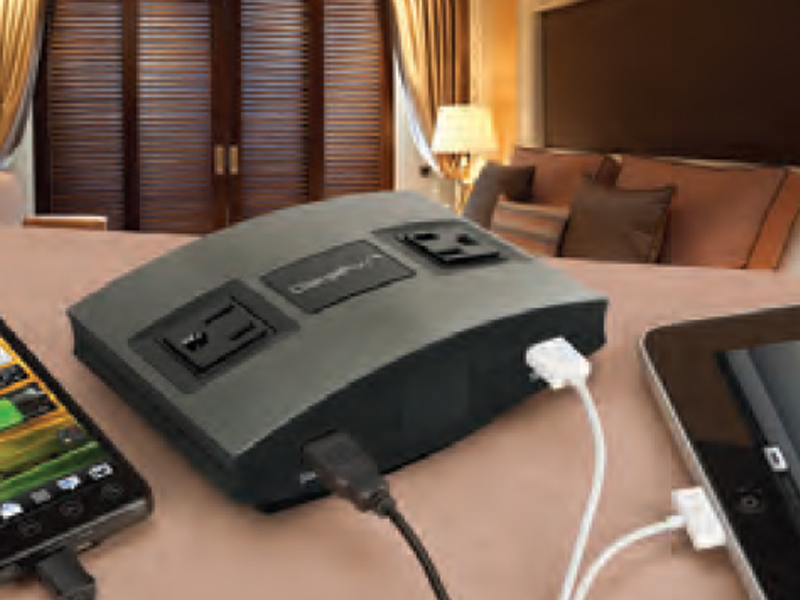 With ChargePort™ it's easy to add even more connectivity options for your guests. 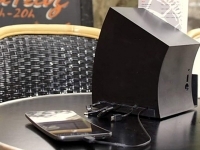 Along with power and USB charging, optional connectivity cables are available (sold separately). 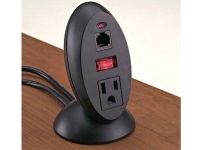 Use ChargePort™ to present a wired Internet access point or a TV/stereo audio/video access point for media players. This space-saving version is designed for vertical positioning on a wall or back splash at the back edge of a surface. Unit includes mounting bracket. 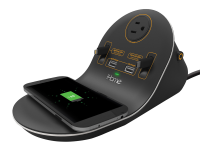 A charging solution designed specifically for a desktop or night stand. Put Power, USB Charging and More at Guest's Fingertips.